Beautiful flowers? Sweet treats? Decadent chocolates? Why not surprise Mom with all three, in one. 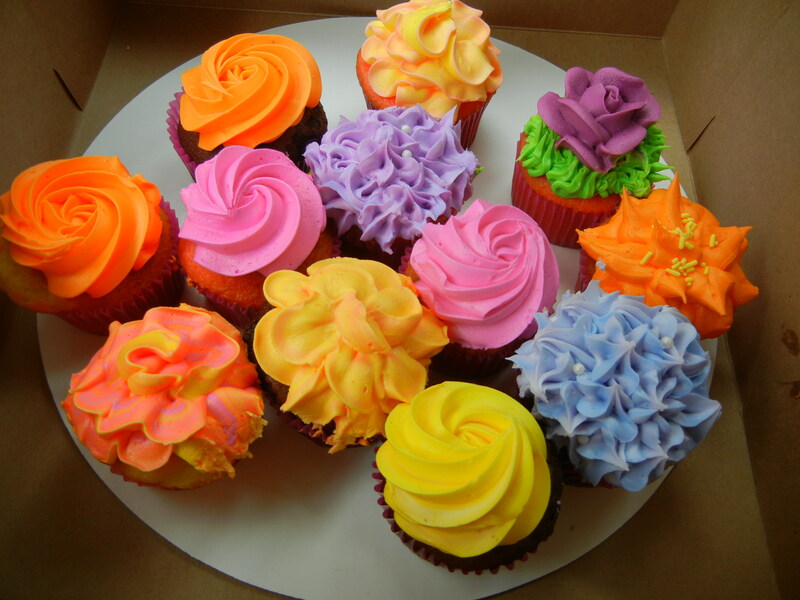 After all, Mother’s Day is the day when moms can have their cake — such as these gorgeously decorated chocolate and vanilla cupcakes from Yummies bakery in my town of Tuscumbia, Ala. — and eat all the icing off before anyone else, too. This entry was posted in Alabama, art, family, food and tagged Alabama, bakeries, Buttercream, chocolate, cooking, Cupcake, holidays, home, Mother's Day, Tuscumbia, Vanilla Chocolate by Coffee with Cathy. Bookmark the permalink.